- Do you have a specific question? - Can't find your answer? - Want to purchase a piano for less money than Amazon or Internet stores? Call us at 602-571-1864 (no international calls please). (Pacific Time during Spring & Summer). Looking to purchase a piano? Please contact us first! My son Erik & I are the #1 digital piano experts in the world and we'll recommend a piano for you that meets your music goals, skill level, and fits your budget. I do not limit my reviews and recommendations to just a few brands or models like many local piano stores, on-line music stores, and certain people on the internet do. I do not copy comments or content from other so-called reviewers or Amazon owner reviews like the other so-called review sites do so that they can make affiliate money off of you and recommend anything just to make that money. I have actually played and understand all of the major (and not so major) brands unlike all the other people out there. There are also certain brands and models I have played that I do not recommend and I am happy to share that info with you so you do not make a bad buying decision. I also have access to some of the best pricing in the USA direct from manufacturer on selected pianos. 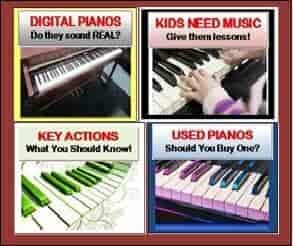 Please contact me before you purchase a digital piano anywhere because you will save money. Want to know more about us, Tim & Erik Praskins? Go to the following link to read our bio: ABOUT US! * Please Note: All my reviews are independent of any others on the internet, are my opinions, and are done with great research, time, energy, and personal experience with each instrument and I have played and listened to them. I do recommend many models from the top brands and can help you find a good place to make a purchase should you decide you want one. Although we are NOT an authorized Roland or Yamaha piano dealer, we do recommend many brands and models of new digital pianos, including Roland & Yamaha, and can direct you to an authorized source in the US for even LOWER PRICES than internet, Amazon, or US store prices on all major brands of digital pianos No one pays me for my reviews including manufacturers, distributors, resellers, etc. All my reviews are my opinions and done by myself for the public at large. Also, I reserve and exercise the right to update my reviews as new information comes my way through further examination of these pianos or new information is brought to my attention from the manufacturers or users. My desire and goal is to refer you to any brand and model of new piano, digital or acoustic, if that brand and model meets your musical goals, budget, and overall needs. Yes, Cam, I have seen and played the prototype of the PX5S but it wasn't a production model so many things were not working yet. However it is a cross between a new Casio digital piano (PX850), Casio synth, and controller with some impressive features for its price. It should be a good seller considering no one else has anything like it, especially for that price. I will be posting a review of that model soon. I need to buy a digital piano for practice (beginner/intermediar) for next years (not fews). I need your advice! I was writen to you last weeks but i think that my english was insulting. I apologies!!! I'm not very good english speackers, i'm romanian and i learnd english reading on the Bible, internet, books, movies... I want to know what piano is the best for me (and my children 6 year). I was reading some of your reviews and i don't found some informations about privia px 135bk/we. I want to know if it is under or up to yamaha p105 (or p95) - key action, sound, versatility, quality.... I found privia px135 and yamaha 105 verily closed at price (aprox. 800 dollars). In Roumania, musical instrument are more expensive that in USA. Privia px 150 is 1000 dollars and yamaha p 95 cost 700 dollars. I want your advice It worth to buy px135 or yamp105 (or p95)??? Thank you verry mouch! Blessings!!! Thank you for your questions. Your English is actually very good and you do not need to apologize! All of the pianos you mentioned would be good but the new Yamaha P105 and Casio PX150 are much better for realism of piano sound. The Casio PX150 would be the best as far a piano sound dynamics and more authentic weighted piano style key action movement, especially for an intermediate player. But whatever piano you decide to get from the options you mentioned would be good. In the lower price range I would probably go with the Yamaha P95 although if you would connect an iPad or computer to the piano then the Casio would be better for that. Thank you Tim! Be blessed! 1)Have you had a chance to review the Roland HP 505? 2) I am a beginner and the store looking at their selection and they suggested 2 different types, Casio PX-750BK (875€) and the Roland HP 505 (2350€). The Roland sounded better in store, but the Casio when hooked up to external speakers sounded just as good. Im not looking for lots of bell and whistles, but rather feel, sound, and quality vs price. Any thoughts? I have played the Roland HP505 many times and it is an excellent digital piano and offers some great features. But as you know, it is substantially more money than the Casio PX750. Is the HP505 worth the difference in price?...that's really up to the individual to decide based on your music experience, skill level, expectations, and needs. The Casio PX750 is a basic but very nice piano for a low price. The Roland is upgraded from the Casio in just about every way. If you are satisfied with the Casio PX750 then I would recommend you buy it and save the money. Can you recommend a reasonably priced adjustable piano bench? Or do have have any reviews that I haven't found? I need a piano for my children who are learning to play piano at music school. I'm in situation I have to make a choice between Casio AP420 and Kawai KDP80. Which one of these two pianos would you recomend? either piano would work fine and sound good. They are similar in many ways including audio power and the Kawai has a few things the Casio does not have and visa-versa. If you are interested in connecting the piano to an iPad or computer for using apps and software, the Casio would be much better for that. I would ask u kindly for advice. Im going to rent a piano. Im have already passed my grade 8 and currently preparing for senior recital. I cant choose between yamaha clp range or roland hp range. I looking for a very similar keyboard touch like a grand piano and nice sound as well. I would like to go for any upright piano but Im living in apartament. Im playing on yamaha ydp 140 at this moment. Thanks a lot. Thanks for writing but the all important question for me to give out good advice to you is...what does "without breaking the bank" actually mean in terms of realistic price range for you? What an awesome blog! I'm a pianist with a classical background. I primarily play jazz and blues gigs, however, so I need something portable. Realistic piano sound and action are my priorities. I don't need 800 different sounds. I WOULD like something I can eventually use to build a studio around as well as gig with. (Lots of contrasting criterion, I know.) If I had my way, I'd only play on a 9 foot Boesendorfer. Not so possible. I'm planning on going to a music store to try out different keyboards, but I HATE dealing with salespeople, so I want to walk into the store with some knowledge. I've read countless reviews, but when I saw your blog I thought I'd ask your opinion. The Casio PX-350 Privia seems to get good reviews. I'm also looking at Roland, Yamaha, and Nord models. What is your opinion? I forgot to add that I'm flexible on price. I read your review of the Casio PX-350. It seems that most people agree that this is "most bang for the buck" keyboard. Is it comparable to the higher priced brands? The PX350 or the new Casio PX5S offers the most bang for the buck under $1000. They do compare to higher priced brands but some of the higher priced models are better but they should be better in some ways if they are more money. Any thoughts on amps? Right now, I'm working on a couple new set lists and taking a break from gigging so sound is more important than volume. I'll be back on stage in a year, however, and will need to compete with the guitar players. You would need to purchase a stereo speaker system. You could get stereo monitors for home practice & playing, or for outside gigs or home practice, the newer Roland stereo keyboard amp KC110 may be a good option. Until you settle on a price range that you can afford and want to be in, giving advice usually only confuses things. Most of the time a higher priced model will have advantages over a lower price priced model in terms of the piano playing and music making experience. I can afford around $1000 for the digital piano. I want something that would really look like the real classical piano in terms of "touching/feeling/dynamics on the keys and the piano sound". I do not need multiple sounds such as organs/strings or songs, recording or any other features. Would you recommend Casio Privia PX-850 (OR) Yamaha Arius YDP142? Or any other brand around that price range? Thank you for your time. Have a blessed day. Either piano would give you a good piano playing experience but if you are more advanced than a beginner skill level, the Casio PX850 offers more in terms of realistic weighted key action movement, piano sound, dynamic range when playing keys, internal speaker system, and overall functions. You do get more for the money with the Casio PX850 over the Yamaha YDP142. If you read my reviews on these models you'll get more detailed info. I would like to ask you for advice on buying a digital piano. I'm a beginner and for a few years now I've wanted to learn to play quite a few songs. Unfortunately I am not exactly sure what to look for in a digital piano and was hoping you could help me. In your budget, the only pianos I recommend are Yamaha & Casio. I have written reviews on their new models in that price range and you can read them. Look for Yamaha P105 YDP135R, DGX640, and YDP142. Casio offers PX105, PX350, PX750, PX780, PX850, and AP250. Was wondering if you will be reviewing Galileo digital pianos. I found them very reasonably priced (under 1000USD for the simplest model), but would love to get your thoughts on them. I have played Galileo pianos but will not be reviewing them soon, but perhaps later. I was not very impressed with their lower priced models as far as key action dynamics and piano sound as compared to the popular brands such as Yamaha & Casio. I would like to ask some advice about digital pianos. I am a perfect beginner so I guess I will have to rely on your expertise. I am planning to learn by myself using different applications from ipad/android.. I was planning to buy the Roland hpi7f because it seems it will help me a lot but it is so pricey..
sorry for the delayed response. The FP7F has been recently replaced by the new Roland FP80 which has better sound and functions. In a lower price range I would recommend Yamaha P105 and Casio PX350. All of these pianos are portable like the FP7F/FP80. My name is Elliott and I am currently looking for a digital piano and I have certain specific needs and I need some help picking out the right one for me and I was hoping you could help me with this issue. For the requirements, first of all, I dont care whatsoever about the sound of the piano because I will be using it as a midi/usb controller, for I already have a high quality virtual piano instrument that I will use with it. Now on with the real requirements. I need the piano to have 88 fully weighted keys just like an actual piano. I need the action to be the best action possible. And I need the action to feel as close to a GRAND piano as possible. I've played both grand and upright pianos before and I've noticed the actions of grand piano's have more of a clicky feeling when you press down on them. Thats exactly the kind of action I am looking for and the action has to feel as realistic as possible as a grand piano, NOT an upright piano. Ivory &/or Ebony textured keys is not an extreme requirement, but is a VERY large plus in my book. I also need the piano to be able to transpose at least 12 semi-tones down and 12 semi-tones up with ease. It would also help if the piano was lightweight, but that is not a requirement. Also, I DO NOT want a digital piano that is in a cabinet, I want a digital piano that I can put on my keyboard stand. And my budget is $1000 and under, though I would prefer under $1000. Also, I dont know if this will help, but if it does, you should search the songs "Your Star", "Lithium", "My Immortal", and "Good Enough" on youtube. All of these songs are by the band Evanescence. This is the type of music I usually play. Do you know which digital piano would be the right one for me? I would REALLY appreciate your help! Please and thank you and have a very nice day! You will not be able to find a new digital piano that does what you want for $1000 or under. Alright then. Could you tell me then which digital piano under $1000 has the most realistic piano action that I could use as a midi controller that can transpose at least 12 semi-tones down and up? Please and thank you! 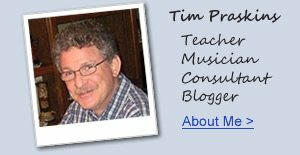 Tim, thank you for your site -- so helpful! Can you please recommend headphones for a digital piano? I want to shut out noise and hear the bass. my name is Sastra from Indonesia. Between Celviano ap250 and privia px150, which one is better? Here they are priced very close together (about $800) with ap250 about $30 cheaper. I tried the celviano and really liked it. I haven't tried the privia, but I did try the casio cdp220R which also have the keyboard looking model. I didn't like the cdp220r at all, i think the sound is just too far from a real piano. I'm very curious about the privia, but the store is out of stock. Do you think the celviano would sound better than the privia because of the cabinet speaker? Which one do you think should i get? My name is Carlos Lopez. First of all, thank you very much for your very illustrative piano reviews. Thanks to them I discovered the new families of DP from Casio, as well as the ones from Kawai (before I only knew Clavinova and Roland). Hi Tim, I was just told by a Yamaha authorized dealer in Medford Oregon that the Yamaha CGP 1000 is no longer available. Is that true? Yes, this is true. That model is now discontinued and there is no replacement for it at this time. Any thoughts on these two or have other suggestions? Thanks for taking the time to read this. Sorry, I was not able to respond until now. I would recommend the Yamaha YDP162, YDP161, or Casio PX850. All of these pianos would be good choices. I do not recommend the Kurzweil MP10 due to the key action that they use. You can read more about that in my Kurz MP10 review. Hello sir, please I want to buy the korg sp 280, and I need a fair price and im ready to pay $700 usd and any other shipping cost. Please help me in this purchase. 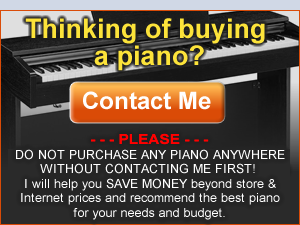 I am not able to help people purchase pianos if you are outside of the US. If you are inside of the continental US then please let me know where you are? i want to purchase a digital Piano for my daughter who has being learning piano for last 6 months..Her teacher is recommending Yamaha brand...my budget is around $700-800. wanted to check with you what would be a good purchase that can last for a longer duration. If you live in the US, then I would recommend the Yamaha P105 with furniture stand & 3 pedals, the Casio PX150 with furniture stand and 3 pedals, or the Casio PX750 which comes complete. I can share discount price info on all of these models incl some other options if you would like to email me direct. Thank you. I am looking to purchase a mini grand digital piano. I read music, but am really a beginner at the piano. I have looked at the Yamaha 465 and have read your review. Any other models you would recommend, and what sort of price can you get for me in Florida? I'm considering between Yamaha P105, Casio PX150 or Casio PX750. The price for these 3 is a $100 diff in SG currently. Looking for something that's as close to a classical acoustic piano. What would you advise? What's the diff between PX150 vs PX750 apart from the complete furniture. Thanks a lot. I used to learn piano years ago, then I stopped and now started again using my sister's piano. and I'm quite excited! I wanna buy one for myself, Costco has Casio CDP 220 with 29 reviews, 5 star, for $400, Like everybody else, I'm looking for sth close to acoustic piano. Do you recommend it? I have 2, 6yr old kids who are starting to learn piano. I am considering Yamaha DGX-650B & Casio PX-780. I like the portability and price of DGX-650B. I also like the piano look and keyboard lid of the Casio. I am concerned about the learning experience for my kids if I go with DGX-650B. I am not a piano or keyboard player, but I do enjoy occasionally playing single finger, simple songs, and the other sounds and features. Which one do you recommend? Have you had a chance to review either one of these keyboards? Dear Mr. Praskins, I was delighted that you called me back yesterday (Toronto inhabitant) to warn me about the age of the Roland HPi-7. I was lucky that you did so. It saved me at least an hour of driving each way, not to mention the disappointment I would have met upon arrival. Thanks once again Mr. Praskins. You're one of a kind. I really appreciate your concern for those in the market for solid instruments. Respectfully, R.M. We want to buy a digital piano. I have played as a child for many years and now want to play a bit for myself + I want that my kids start playing. I live outside of the USA so the model selection here is limited. We prefer a cabinet piano, but it is not a must. Which of these is the most recommended? Also, what can you say about the cheaper models of Dynatone / Ringway? The PX350 would be my choice because it has so many useful educational & fun features, especially if you can connect the piano to an external speaker system like a home stereo system or stereo monitors to add more depth to the sound. Although the PX350 sounds good to be heard in a room, it needs more depth and richness to achieve fuller piano sound and good external speakers would make that happen. I'm quite new to your blog as I've just started to look for a digital piano, there is one issue though, I'm 14 and have been saving up money, currently at €400 ($539) and that is really the maximum I am willing to pay for one, I expected them to be cheaper which is why it was shocking to find out that they're so expensive. Hi Tim, thanks for your reviews. I'm 40 y.o and I'm learning to play piano. I have a Yamaha Psrs 550 b keyboard for practice . I want to buy a digital piano. My budget is between $ 2000 and $ 2500 US. I love classic piano music then i need a digital piano with great sound and real touch feeling (as like as possible). Please, reccomend me the best option for my budget. I like kawai brand (mp6,mp10,cn 34) but let me to know about other brands. each of those Kawai models would be a good choice but are all obviously different and in different price range. MP10 would be best piano playing experience but you would need external speakers and stand for it. It has the fewest features but its main quality is the piano sound and wood key action movement. CN34 would be a very good choice in a furniture cabinet and you could be quite happy with it for classical music playing and it has many other useful features as well. 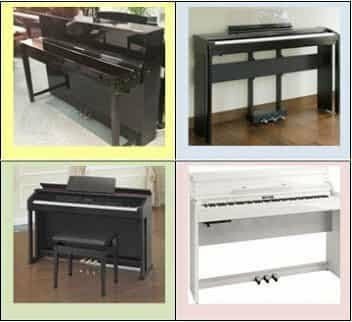 The Kawai ES7 is a similar piano to the CN34 but in a different cabinet with different built-in speaker system, and I have done a review of that model if you want to research it on my blog. How about Kawai KDP80 vs Yamaha YDP-142 Arius?Same price.Hope you will answer. How about Kawai KDP80 vs Yamaha YDP-142 Arius?Same price. The Yamaha 142 has better piano sound realism but the Kawai KDP80 definitely has the better key action. Depends on whats more important to you. The new KDP90 which replaces the KDP80 is better in both ways over the Yamaha. What should i choose among Casio ap 650, Casio px 850 , Roland 301r? Is there any other piano with lower price but higher quality than those i listed ? Im about to buy a Casio piano, but i cant decide just yet. Im between the px850(i noticed that you put this one on a "best buy") and the ap250. ¿Is it worth to buy one of this, or maybe i should buy a older one? like the ap220 or the px830. Im not from USA, i think you noticed by now. Sorry for my bad english. So, hope you can help me. PD: I already emailed you but with no answer, hope you can see it. I want the piano before christmas for a present. Hey Tim, can you give any advice on the Yamaha MOX8 for overall use including piano usage. Thank you so much for making this website and sharing your knowledge with all of us. It is a great resource. I wanted to ask your opinion about weather or not I should buy a service insurance plan for a newly acquired digital piano, Yamaha P-105B. Yamaha's warranty doesn't seem to be covering any repairs and such. I'm trying to decide between Casio's PX780 and PX850. PX850 seems to be easier to find in Canada, but I'm worried about the difference in key action between the two models. Casio's web site lists PX780 as "Tri-sensor Scaled Hammer Action Keyboard II", while 850 says "Scaled Hammer Action". Is action on 780 improved (new generation maybe) over 850? The key actions in current model Casio Privia PX780 & PX850 are identical. I am a piano teacher and looking at buying another digital piano for a 2nd piano room for another teacher. I would like the piano to be suitable to teach classical music (RCM) I have an Arius 181 but cannot afford this price right now for a 2nd digital piano. I have looked at and tried the Yamaha P155 and really like the sound but as you say the touch is heavier, I find the same with the Arius 181 but did not know at the time. I went to a Kawai dealer today to see if I could try a Kawai ES100 after reading your review, and they say these are not out yet, but they are getting them in 2 weeks. They did not have an EP3. I like the idea of a more portable piano as we do a student recital 1-2 times a year, but it doesn't have to be. Anyways, while I was in the store they tried to sell me a Kawai CL26. I tried it, liked how it felt, but am not quite sure I like the sound that much better than the P155, however it could be the acoustics of the room. However, for teaching, the touch, weight of the keys etc. is more important, I want it to be as close to an acoustic piano as possible. Anyways, the salesman highly recommended the CL26 over the ES100, he says the CL26 will be much sturdier and have better key action than the ES100. Is this true? or are they trying to get rid of an old model? I have until tomorrow to decide if I want to get a deal. I can get the CL26 for $1100 because of boxing week sale, so a savings of $400 or something like that and he only has a couple left so says the sooner we purchase the better. But I am not sure. Should I wait until the ES100 comes in, or should I jump at the CL26 which is on sale now. The ES100 would be better as far as being able to take it to a student recital, but what about everything else? key action, sound, pedaling etc. Am I looking in the right direction? I have read a lot of reviews, and have searched some advice, but confused:) Could you please tell me what you would recommend? I live in Canada, so realize I cannot purchase from you, but would so much appreciate any advice, by tomorrow if possible :) If not that is O.K. I may just take my chance and let the deal on the CL26 go by, because I really am not sure at all which way to go. The Kawai CL26 has a better internal speaker system as compared to the ES100 and also has the same key action as the ES100 so that is good. However the new piano sound chip inside the ES100 is vastly superior to the the older generation CL26 piano sound in terms of piano realism, dynamics, and organic piano nuances along with other upgraded instrument sound and function features. Although the internal speakers of the ES100 are pretty good for a portable model, If you connect the ES100 to an external sound system, monitors, etc, then the ES100 piano and instruments sounds will be amazing when you increase the range of sound in that way. I hope this info helps you. I am retiring in three months and have started taking piano lessons. I would like to purchase a digital piano with a budget between $1,500 and $2,500.. I would like a digital piano to enjoy a grand piano playing experience with useful features such as accompaniment, computer connection, and such, and preferably in satin black finish. I have seen your review on Kawai CE220. 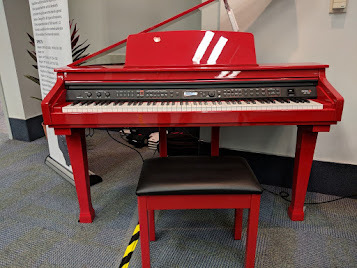 When asked, a local dealer said CE220 is only sold in the Internet but they have the step up version, the Kawai CN24, in their showroom (visit by appointment only). Is CN24 better than CE220? What would you recommend? CE220, CN24 or another model. Both are very nice digital pianos. The Kawai CN24 is not a step-up version of the CE220. It is simply a different piano in the same price range. The CN24 has a couple of things that may be better depending on your piano playing skill level and the CE220 has more than a few things that are much better than the CN24 depending on your piano playing experience and what digital features may be of use to you. Please email me directly and I can share more detailed info with you. Like many others I am trying to figure out which DP to buy. I am basically looking between the Kawai CE220 and CN34 and the Roland DP90S. My budget is basically $3,000 and I want to get the most realistic piano sound and feel I can. I own a Yamaha YDP-V240 and its fun but not a great substitute for an acoustic piano which is what I want. If you think there are other models or brands I should consider I'd be happy to have your perspective. We are just a beginner and we need one to practice. Thank you very much! Hi Tim. This may or may not be a good question for you. I recently had a digital piano given to me (Adagio is the brand), and while it plays well enough the sustain doesn't work. I've looked all over the web for Adagio parts, but even their support emails on their website are broken, like they aren't in business any longer. Do most manufacturers use common parts when it comes to things like pedals that I could just buy and replace it myself? Hi Carl,...The Adagio brand may be out of business now (I have heard), but I don't know for sure. As for parts, it depends on what is specifically wrong with the pedal sustain. Could be a connection, a bad pedal, circuit board problems, contact problems, etc. A digital piano tech would be the best person to figure that out and hopefully you have one in your area you can take the piano to. It is a Chinese brand and many of those pedal components are similar with other Chinese off brands but it's hard to tell if another pedal assembly would solve the problem without someone seeing it who knows what they're doing. What is the difference of the piano sound between the Kawai ES100 and ES7? Is it worth to pay the difference for the ES7? I am currently looking to purchase a digital piano and have read through your reviews (loving your work btw!). At the moment I am tossing up between either getting the Casio PX-150 or the Kawai ES100. I live in Aus and there's about a $200 price difference between the 2, would you recommend I go for the Kawai? It sounds a bit better but do you feel it's worth the price difference? In my opinion the Kawai ES100 feels and sounds more authentic like a real piano and has more usable features, although you could likely be happy on either piano. Yes, I will be doing reviews soon on the Roland & Kawai. I have already played both instruments and the Kawai has it's new wood key grand feel action and it is impressive. The new Roland RD800 uses the new Roland PHAIV Concert keyboard action which is also impressive. The Yamaha CP4 action comes from the Yamaha Clavinova line of home pianos and I am not nearly as impressed with Yamaha as I am with the new Roland & Kawai. Hello Tim. I've e-mailed you and asked for a piano advice betwen Kawai MP6 Casio PX5S and Kurzweil PC3LE8. I know that the last one is not a piano and more a workstation. Neverthless I'm more a synth player but want a 88 key weighted action and good piano sound for my new setup. Could you please tell me if I'm making a wrong decision? I am looking to purchase a digital piano for our contemporary church. A trusted friend suggested the Yamaha P-105. In reading through your site I notice that you have good things to say about the Cassio px150. Any other brands/models I should consider? I like the Yamaha key action and sound better than either of the Roland's you mentioned although I prefer the new Kawai MP stage pianos that just recently came out. Can you expound upon your preference for the Casio px-750 vs the px-150? Was the primary difference just the cabinet sturdiness and the depth of sound (given the 750 has larger speakers)? From the standpoint of action and feel, are they identical? Love your website. It is the most comprehensive and non biased review on digital pianos. I'm in Singapore and I'm looking at either Casio PX780 or PX850 after going through your website. Main usage style is that i have time to play only at night and hence using only heaphones. Question: is there a difference between 128 & 256 polyphony using a great set of headphones? Yes, the PX850 has more natural acoustic elements in it as compared to the PX780 However, whether you can tell the difference either through its own internal sound system or through headphones is difficult to say. Some people can and some people cannot. You could likely be happy on either model, especially through headphones. Thanks Tim. I tried them both today. With internal sound PX850 is better but with the headphones, there was not much difference. Hi Tim! I am buying a digital piano and my choices are CDP 220R, CDP 230, Yamaha DGX 230 and Yamaha DGX 530. I have no piano experience and just starting to learn now so I am looking for the perfect model for me. Thanks! Thanks for the recommendation of the Kawai...I will check that out. What are your thoughts about the Yamaha psre433? I know it is more of a keyboard (versus an electric piano). keyboards to not feel like or respond like pianos or digital pianos. They are fine for general music learning such as reading music, notation, keyboard geography, and other things. They can be fun to play. Professional musicians also use keyboards for specific purposes other than for piano key action. A keyboard is a poor substitute for a digital piano with a proper 88 key piano weighted key movement.so I do not give advice or talk much about keyboards on this blog, although I have played just about all of them. If you want a keyboard the Yamaha PSR433 or any of those models are good ones. First of all, you have a very informative website, thanks for your work and the great content you're putting out here. I have a 6yo daughter leaning piano, I'll be doing the same in order to be able to provide some support, encouragement, challenge, role model, whatever might help her in any way. I already bought an used P60, which seems ok for our level. But reading more on the web, I'm starting to consider upgrading it to something with an even better keyboard feel/action. I can get these second hand at a lower price than the new ES100, but they are 10-15 yrs old. But they have great features, and seem to provide excelent action, not so far from an acustic. What do you think ? Any advice on this one ? You can buy old TV's, computers, cell phones, and other technology devices that were a lot more money many years ago, but the original price is irrelevant now in comparison to current models which are usually far less money and improved in many important ways. Also, buying a used digital device does come with risk. Used pianos that may break down can cost $100's of dollars to repair, assuming they can be repaired at all if that happens. If you feel that a used digital piano with features you may like would be a good investment for you based on what is available then that is something you would need to be comfortable with. I cannot advise you on that. wooden keys are only as good as their size, the way they move, the weighting system in and on them, and their installation. Wood keys by themselves have almost no weight at all so until the weighting and movement structure system is in place, wood keys by themselves are meaningless. A properly weighted plastic key action with the correct movement can be much better than a improperly weighted wood key with poor movement and structure. Aside from that reality, the piano you purchased (if it is the older Kawai CA51) may be the perfect piano for you. I wish you years of musical happiness. I have a 20 yr old Baldwin Acrosonic acoustic piano that I don't play anymore and would like to sell it. What's the best way to find out what it's worth, and how should I sell it? Craigslist, a local piano store, other? An old acoustic piano is like an old car. Value is dependent on color, style, wear & tear, maintenance during the years, amount of playing time on that piano, weather related damage due to too much humidity or dryness over the years, etc, regardless of brand & model. The piano needs to be inspected by a good piano technician to get an actual true value. Once you do that then selling it can be through Craigslist, eBay, local piano stores, etc. First of all, thanks a lot for your reviews. They are really helping me to understand a lot more about digital pianos. I'm going to buy my first digital piano and I'd like to reproduce as much as possible an acoustic piano (most about key-action, delay, pedals and not that much about the sound itself - I'm more worried about the learning process to be as close as possible to an acoustic piano). That being said, I was inclined to get the Casio AP250 (specially because of the ivory feel, the 3 sensor key-action, and the "half-pedaling" function) but the salesman offered the Roland RP301 for the exact same price. I've read your reviews and I took a good look on the downsides of the Roland RP301 but considering that the price difference that I saw in other stores between this two models was quite big I'm not so sure if the Casio AP250 is still my best decision. I've also checked the Casio PX850 but I can't afford it. It's considerably more expensive here. So the choice would be between these two models (Casio AP250 and Roland RP301) for the exact same price. Thanks a lot and sorry about any typing mistakes because english is not my native language. I normally practice on a really old acoustic piano, so I am planning to buy an electric piano because it would probably have better key and pedal action as well as be less of a disturbance for my neighbors. I am an advanced player (I've played several chopin etudes and ballades) so I would prefer a piano with medium to hard key action and keys that work like a grand. And since my piano teacher emphasizes sound and tone, I would also like the keys to be as sensitive as possible. But my budget right now is quite limited, so I'm considering the Kawai MP7 (would I need to buy a separate pedal with this if I want all 3 pedals?) or the Kawai CE220. What would you suggest? I have been taking piano lessons and I am looking for a digital piano that has the feel of a vertical piano. I liked the ivory feel of the Roland DP-90 and the CASIO pianos, more than the Yamaha. Recently, I found the Roland DP-90 and the CASIO PX850 two good options for me. I found these two new pianos for the same price in the internet. I would like to hear you opinion on these two piano. How would you compare the piano feel, the sound quality and the functions these pianos offer, considering they are being offered the same price ? Which one would you recommend having the same price ? I am a complete beginner who plans to play piano for a long time and I am planning to buy a digital piano with my budget around $1000. The Yamaha P105 really catches my attention after i read your reviews and amazon reviews. Do you think it is a good choice to buy yamaha p105 piano ? Yes, it would be a good choice...especially if you like it. Also Casio & Kawai make good pianos under $1000 and I have done reviews of those models as well. What do you know about Casio celviano Ap-250? I have done a review of that model on this blog. Please look for it in "search models"
I tried 3 digital pianos (Yamaha YDP 142, Kawai KPD 90 and Krog LP 380), giving all "satisfaction" for what digital technology can provide. I was more concerned about robustness and maintenance. Do you have any feed back on those model/ technologies used by the three manufacturer as far as failures and breakdown are concerned? All are good pianos but all playing differently, just as different acoustic pianos do. It depends on what your preference for piano sound and key action is...and also your price range. Failure breakdowns on those pianos are not something I would personally know about since I do not work for piano companies. Only they would have that info. But overall, those models are known to be good for reliability. I m a complete beginner. It's just 2 weeks that I have been learning piano . I can't decide which digital piano I should buy . Yamaha P-105,Kawai Es100 and Casio px350 . Could u pease help me to choose ? Which one is the best overall ? Any of those models would be enjoyable to play for a beginner or even a more advanced player, but they are all different and priced differently as well. I have done reviews on those pianos. It just depends on what is most important to you musically and what style of music you'll want to play. Please advise, we would like to purchase a piano for a small church. Which is a better piano Roland RP301 or Yamaha DGX650? My 7 yrs daughter just started learning piano 4 months ago and I just picked up playing again (but I can't say I'm intermediate level yet). I want to stay under $2000 since we're just beginners. Would you recommend the Kawai C220 or Roland RP401R? How do you like the pedals on the Kawai C220? That is a good question. Actually both models are quite satisfying to play as far as key action is concerned. The key actions are certainly different but both allow for good key movement. As for pedals, both models offer good pedaling response for intermediate playing as well as for more advanced levels of playing. However, the Roland & Kawai pianos are different in other ways that make make a difference in which one you ultimately get. If you have more questions, please email me directly and I can help you further. I'm wondering if you can help save me some agonizing over options. I'm looking to get a digital piano within a pretty tight budget. I do have classical training (grade 8 Royal Conservatory) but haven't played in a good 20 years. I remember years ago thinking I would never own a "fake" piano (I am super picky about a realistic touch) - but apartment living/semi-frequent moves mean that having a "real" piano isn't realistic - so electric it is! A friend's mom is looking to sell her barely used Yamaha P155 (including stand/bench/pedal) for around $900 (Canadian). Of course I will go try it out before making a decision, but if it seems ok, is this a decent price/option to go with? Or are there other better options for that price range? Oh decisions! At your reviews you say you like key action both of casio px-150 / PX750 and Kawai ES100 / KDP90 pianos. Which keyboard is finally better? I don't have the opportunity to try Kawai, Casios only are reachable. But I liked these Kawai models from your reviews. So what choice will be the best? I have been playing classical piano for around 25 years. I have an acoustic piano at home. I'm looking to buy a portable piano for performance and recording. I intend to play more genres of music (but including classical). So I need a piano with good acoustic piano feel/tone as well as other options. I liked a demo video that I saw of the Kawai MP6 but are there others that you can recommend for around $1000? Does the Kawai ES100 have an upright stand? We bought that model based on your reviews. Unfortunately, it does not come with a stand. The X stands I can find aren't what I'm looking for. a person could be happy with any of the top name stage pianos as they all offer a good playing experience. I have all of them all and in terms of key action, acoustic piano sound realism, non AP instrument sound realism, pedaling, functionality, and features along with ease of use all in one piano, in the approx $2200US and less price range, the MP7 is what I would choose. The next one I would choose would be the Roland RD800 but it is substantially more money than the Kawai MP7. Also, the Kawai MP7 is in such high demand worldwide, that they are very difficult to find in stock at Kawai dealers from what I am told. I can only tell you my opinion but I have heard from many Kawai MP7 users who share my opinion as it being the best choice whereas I have heard a number of people say they prefer something other than the CP4 after playing it for awhile. The only way to really know is to play them both. To be more thorough than that on this subject is not something I am prepared to do. This is a question. I think I will be looking in the range of Casio PX780. I really want the piano sound but I am not an advanced player. However, it looks like the only way you can buy this instrument is via the internet. What do I need to look for? Should there be a warranty? Will I need to send it to Japan if it breaks? I would prefer if you emailed me directly concerning your questions on the Casio PX780 and I can give you a detailed answer that will help you. Tim, which learning system is better, the one on Casio CDP-230 or the one on Yamaha GTX-650? I am about to buy Roland HP 506. Any other Yamaha or Kawai at the same range of Price to recommend? Hi Tim, which one of those two pianos would you choose: kawai cn35 or the kawai ca15 if you were looking for the best playing experience. And with that I mean the best keyaction / feel and sound of the piano and not really being interested in extra sounds etc. The CA15 has the better more realistic key action compared to a grand piano. The CN35 has more usable digital features, sounds, recording options, etc and the control panel and buttons are much improved and easier to use as compared to the CA15. The key action is definitely enjoyable on the CN35. Both have pretty much the same piano sound although the sound system in the new CN35 is improved. A person could probably be happy with both pianos but I would likely choose the CN35. Thanks a bunch for the wonderful blog. I'm in two minds now because I can buy a cheap acoustic upright (Yamaha JU-109) or a one of the best digitals (Roland HP i-50) for the same price. Which one should I get? I have been practicing on a keyboard for about 2 years. I like the digital but I'm worried that when I (occasionally, rarely) have the chance to play an acoustic piano .... I might not produce nice tones since I would've been practicing on a digial piano all the time. You know a digital piano takes care of the tone for the most part, while at an acoustic, you need to get the good tone yourself. Is this right? a. Can I practice on a digital piano (with weighted keys, let-off, touch sensitivity...ect) all the time, and still be able to produce good tone at an acoustic piano? b. Which would you recommend the cheap acoustic (yamaha JU-109) or the digital (HP i50). The simple answer to your question is...yes. As long as you get a good digital piano brand and model like the Roland HPi50e (not the HPi50), then you'll be fine and the transition from an acoustic to digital, and back again will be very close. I do not recommend the discontinued HPi50 because some major improvements were made in the new model HPi50e with regard to the key action movement and structure, the piano tonality and dynamic range, and the digital features. They are much better in the new model than the old model. The best Rolands to buy would be the HP504, HP506, HP508, or HPi50e. I wish you musical happiness. Also, if you do decide on a digital piano like the Roland and you live in the US, please email me directly and I can help you with knowing the lowest prices to buy one for. I'm really happy for being able to hear from you. Thanks a lot. Yes, in my previous post, I meant that I'm interested in the Ronald HPi-50e (not the discontinued HPi50_ ). Unfortunately, I'm "stuck" in the middle east. But I might decided on the HP508. In that case, I guess I would have to get th HP508 from the US because I can't find it anywhere here. I would be delighted to do that with your help. Actually, I prefer the HP508 because its less expensive than the other, and I'm not interested in the extra feature of screen on the HPi50e. According to your reviews of Ronald HPi50e and HP508 (in this website), and according to the specs in Ronald Website, the HPi50e and the HP508 have the same specs, except that the HPi50e has the modern flat screen with some educational apps and music sheets. That's the only difference. Please correct me if I'm wrong. One more question: in terms of expression (mournful, lively, agitated...etc tones), how far can an HPi50e (or HP508) go as compared to an acoustic upright/grand piano? and I'll pray for your grandson Dylan (http://azpianonews.blogspot.com/p/donatemy-4-year-old-grandson-dylan-has.html), whish him a hasty recovery, God will take care of him. Do you know if there is any digital piano that is able to perform mid-eastern notes (quarter-tones)? I could find none online, only one German digital piano (I can't remember the manufacturer name). I can't get that because there is no agent for that manufacturer here. I find your blog an incredible source of knowledge (and of tranquility as well, knowing that so many share the same doubts!). So, first of all, thank you! Now, my question is I am starting to play the piano (I played for a year as a child decades ago) and I'm looking into a Digital Piano. After having exhaustively read your reviews and researched my market options (I'm in South Africa), I have narrowed my choices to the Roland 301 (cheapest option), Roland 401 (depends on availability and around 30-40% more expensive) and the Kawai KDP80 (price around 20% up from the Roland 301). Could you give me a hand with the choice? I am prone to App-friendly instruments and money is not a deal-breaker (but, of course, I'd prefer the proverbial "best bang for your buck" choice. This is a truly piano knowledge database. Thank you. I'd love to get a Roland HP508. Unfortunately, the authorized dealer doesn't import it here. So, I think I must get a Yamaha. Which Yamaha digital pianos are better or can compete with that HP508? Please suggest three or four Yamaha models from the best down to the next best....etc. I need that piano for practicing classical music. So, a grand piano simulation is a must (but I can't make space for a grand piano shape) in the price range of HP508. I'm not interested in other features and I also have a limited space. I love this blog. Once I read an argument against digital pianos, and I'd like to know your opinion on that please. The argument goes: Digital piano makers sample the good sounds only; the sounds performed by an accomplished pianist. You cannot make a terrible sound on a digital piano, but you can on an acoustic. When you play a note on a digital piano, it's someone else's touch, not yours. Thus, you need to learn how to perform the good tones on an acoustic piano. You can't learn producing good tones on a digital piano. Do they really sample good tones only?? How much of individual stylistic differences can a digital piano handle? I want to buy digital piano. I searched and listened many of them. I confused to choose between Yamaha YDP162, Kawai CN25 and Kurzweil MP20 F. I'm playing the piano for 20 years but I've never worked with a digital piano. I wish to buy much better digital piano with better sounds but my budget allows them. If I force my budget, maybe i can think Yamaha YDP 181 or Kawai CN30 . I would like to know what is your thought about these digital pianos. Please help me to choose one of them. Please advise, a samick acoustic baby grand SIG48 or a yamaha u1 upright? Both are sold at appoximately the same price. I like the samick, but I'm just worried about their robustness and mechanical quality. Any used piano, no matter what the brand may be, is subject to problems because they are used. It would depend on the usage of the piano (how it was played, where it was kept, how old it is, how often it was tuned and adjusted, etc) to help determine the quality of that piano and its ability to play correctly and stay in tune. Other than that, you just need to decide what sounds and plays better to you. As far as resale value goes, they both have their pluses and minuses. It just depends on what you want. I need your suggestion regarding external powered speaker system for my Kawai ES100. Any keyboard amp (such as the Roland keyboard amps) will give you a much fuller, louder sound when connected. The single amp only reproduces mono sound so you would need a stereo amp or 2 separate powered monitors to get stereo sound reproduced...such as the Roland KC110 or JBL LSR305. You would plug the piano into the speakers through the piano stereo headphone jack. Hey Tim! Thank you for this blog, it has been of great help so far in my search of a digital piano. It would be my first piano ever. My background so far are just 5 years of acoustic-piano as a child, followed by a big hiatus. Fifteen years later, I want to get back to playing piano and I've decided on the Roland F-130R. Are there better alternatives to it in its price range? I'll mostly play classical music, and maybe some contemporary piano, but nothing too fancy, effects-wise. Thank you again, and the best of wishes to you. Among PX860 and KDP90, I cannot choose. My 8 year daughter will play classical music, she is yet in Czerni stage though. Key touches & responses and action movements are first priority. Sound quality should be the important also. How would you recommend for her ? Thank you. based on your excellent review above and other research I've narrowed down my options to either the Casio 860,Yamaha 162 or Roland 401. I've priced each of these at 999,1049 and 1199 (euros) respectively. Thank you so much for your insightful comments on the variety of digital pianos out there - it's a real service to the digital piano community. I am looking at DPs for my 12 year daughter (with 3 years playing behind her). We have considered acoustic pianos, buy finding the right one is a very complicated process & I would like to put off that purchase for another couple of years. I also favor the creative potential offered by a good DP - I think she is at the point where she may be ready to discover music beyond just plonking out the standard classical repertoire. We have tested the Ce220, CN35, CA65, CA95 & a few other DPs at a major local music retailer. We were not overly impressed with the sound of any of them - although, to be fair, they were situated in a space within the store that had horrible acoustics. My daughter's music teacher has a Roland Fp 7, which made a stronger positive impression - it may be partly due to the fact that it was in her house, in a warmer sounding environment. My question: if we could get a used FP7 at a reasonable price - say around $1,100 Canadian - would this be a reasonable choice compared to a newer model DP? I would be prepared to spend up to $2,000+, but spending less would be helpful, as the money could eventually be put towards an acoustic piano. Is there anything else you think we might consider looking at? I am looking for piano, and was hoping that you could help me to decide which one to buy. I am just learning how to play the piano, and enjoy it a lot. Been reading about digital and acoustic pianos, and understood that currently the high-end digital piano sound is similar to low-end acoustic piano sound. Please correct me if I a wrong. My budget is around €5k, and there are two candidates -- the digital Roland LX-15E (or less likely Kawai CS10), and acoustic Kawai K-15E/K-200. I don't care about features the digital pianos have, the sound is of most importance to me. The problem is that I am afraid that Roland will have "synthetic" sound, not like acoustic pianos do have. Never had experience with high-end digital pianos though. And another thing is that Kawai is the cheapest of acoustic pianos out there are available, and it confuses me a bit. While I understand that each piano has its own kind of sounding, my uncertainty is only regarding the quality of the sound. I was about to buy the Roland RP-400 at Costco and found your post. I did some search and found the following link, but it has many RP-401R. Which one is the one you talked about in your post. What is the price of the 401R you talked about ? Today is the last day sale for RP-400 at Costco. Could you please kindly reply before the end of the day? Can you please tell me which of the following models is better, regarding key action? Great informational site! I'm a professional sax player having played some piano years ago, not seriously. I'm looking to buy a piano for small group arranging purposes(e.g.horns, rhythm section) plus I'd like to play piano once again. I want an 88 keyboard with recording and playback possibilities. First of all thank you for your great blog. It is a real treasure. I am 32 and would like to start playing the piano. So I am a complete beginner and I am going to use headphones so as not to disturb my neighbours. My budget is about $1000 and according to your blog, Casio digital pianos are a great value in this price range. What I can't decide is, whether I should buy something like PX860 or PX780 and be happy with it for a long time, or maybe I should buy something basic like PX150/PX350, get some skill and in a year or two buy a new model for the same $1000 or maybe even something under $2000. I am a little worried that, when I actually grow up to the potential of PX860, it will become outdated and there will be much better digital pianos for the price. Thank you in advance. Your last reply was posted several months ago, are you still offering advice regarding piano purchases? Was hoping to be guided to the right direction to start research on what digital piano to purchase (surprise Christmas present) for my son. He has been lugging his current piano around for years when he serves as music director for many small theater companies. His friends have heard him mention that he has wished for a weighted keyboard. Hope you are still sharing your obvious wisdom and expertise and can provide some guidance for what to shop for. Thank you. There are many good digital piano possibilities,especially since you did not mention price or a budget. Until I know your approx budget as well as your son's piano playing ability and even the piano model he owns now, I would just be guessing...and I don't like to guess. Hi Tim, When I play on a GHS keyboard (Yamaha DGX650 or Yamaha P115), I always have troubles with the space between the black keys. I don't have big hands, but when I play the D, (between C# and Eb) these two black keys also go down a bit. Is this a problem with my technique ?? I don't have these problems with kawai or roland piano's. Like to hear what you think about this. Nice site !!! Keep it in the air !! the key width measurements for Yamaha, Kawai, Casio, and Roland digital piano keys (incl Yamaha GHS) are all the same. All black keys measure the same width on all these brands and all white keys measure the same width. These digital pianos are also the same width and key spacing as regular acoustic piano keys. With this equality in mind, I would suspect you are having difficulty with the specific keys because of technique, but I don't know for sure. I wonder what is your opinion, in general, of Fatar keyboards? This is a well-known Italian manufacturer of hammer-action keyboards and I understand that the new Korg Havian 30 uses a Fatar keyboard. (By the way, your review of the Havian 30 would be most welcome!) Thanks. Hej Tim great information on here appreciate your effort!! I am bout to buy a dp for my home studio. I will connect thru midi and use it only for key action of a real piano. I have classical background so action is the only issue here. i cant find any kawai ca67 in my town right now so i had to ask an expert..
what do you think if you compare this models ?? you can also suggest any other brand,models i will be happy to try them. First thanks for your website, very interesting and objective. I intend to buy a digital piano and have selected 2 models where I would like to have your (quick) opinion. Casio GP-500 and Kawai CA97. I found nothing on your site regarding the latest GP-500 from Casio. It seems to be a "little" revolution for Casio. I am focusing on the sound more than on the action. I am looking for a sweet (mellow) and clear piano sound. Did you test it? If yes what would you recommend? Will you be publishing a review of the Casio PX-560 anytime soon? I am considering purchasing a used digital piano. One of my co-workers is selling a Roland HP 2700 digital piano with black matching bench. It's in very good condition; however the C scale needs tuning. The C scale does not produce any sounds. How much is a reasonable and fair price? What is the absolute and best offer I can make? Thank you for your advice. Last year I bought Kawai CA15; keyboard action is very good; sound on headset is very good; sounf from internal speakers is NOT good. What do you suggest to get a better acoustic in a medium room for personal pleasure ? I am Laura from Spain. I'm trying to decide what kind of piano buy (sorry for my English!) and I'm in a doubt. What do you think about these pianos? I would recommend the Yamaha or Kawai, either one would be a cgood choice. Although the Casio is a nice instrument for a low price, it cannot compete with the other two models for piano playing realism and musical growth for piano playing. Congrats and thank you for your blog. I have been reading during the weekend and it is very comprehensive and useful. I am looking at the es100, the cl26 and the f140r. Relative prices are 1x, 1.1x and 1.3x. I dont care much about portability, in fact i do appreciate the furniture type. I do care about sound quality and key action. I tend to go either the es100 or the f140r since I read in a post of you that the cl26 has an older sound engine. Is that right? I would appreciate your POV. Thanks in advance! Between Kawai KDP90 and YDP143, which would you prefer for a student who wants to play classical music? And between KDP90 and CL36? Has the CL36 (RH and PHI) got better keyboard and sound than the KDP90 (AHA IV-f and HI)? I am looking for a digital piano for my 7-year-old daughter who is a beginner. After reading your reviews, I am interested in Kawai KDP90 and Roland F140R which are in the similar price range in the UK. Which one do you recommend? I have to decide between two digital pianos I found on a store here in Portugal: the Roland F140R (900€) and the Kawai CN24 (920€). Can you please give your advise? Thanks in advance. I have the option to purchase a new Artesia DP-3 digital piano for $600 or a used Yamaha P-95 digital piano for $400. Can you please give me some advise on what would be the best choice when it comes to sound/performance? I would not recommend the Artesia. I recommend the used Yamaha P95 although the new Yamaha P115 or new Casio PX160 would be a much better option based on your criteria and I have done reviews of those models. I hope this info helps. I currently have a $900 gift card for Long & McQuade (in Canada) and I was wondering which is better: CLP 525 or YDP 163 in terms of sound. I wouldn't be able to use the gift card towards CLP 525. Requesting your time and awaiting your reply eagerly.